I went through oral surgery more than a month ago and I still have nightmares featuring the cracks deep inside my skull as my dentist struggled to break a huge molar. Again. And again. And again. That's why these kids' before and after portraits make me cringe—but also laugh. They perfectly summarize the horror that is to go through oral surgery. It will reduce anyone, from kids to Chuck Norris, to a miserable piece of wasted and sad human meat bag. The photos were taken by photographer Andy Brown "during an Arts Council funded documentation of the Children's Hospital in Sheffield." 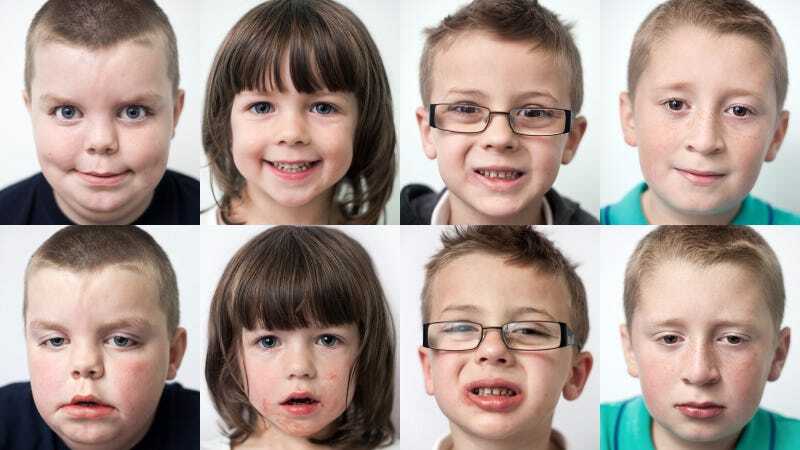 These portraits show children immediately before and after a surgical procedure to have teeth removed. They were asked to pose for the second picture even though they were recovering from general anaesthetic.